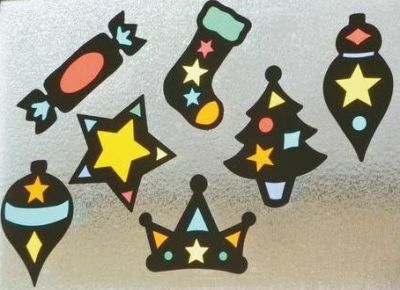 This assortment of festive designs is fun for everyone! Pupils will enjoy creating personalised and decorative stained glass windows which will give the classroom a festive feel. The pack contains everything you need in order to make 30 windows. A great craft activity that is easy to do and children will love especially good in Christmas craft with typical Christmas shapes to create. Average size is 26 x 19.5cm.